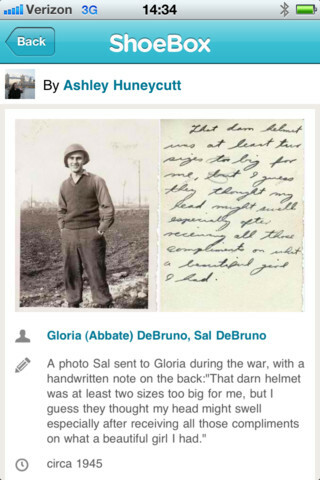 Shoebox is the fastest way to scan old photos (your remember, the kind we used to print on actual paper) and share them with friends and family. 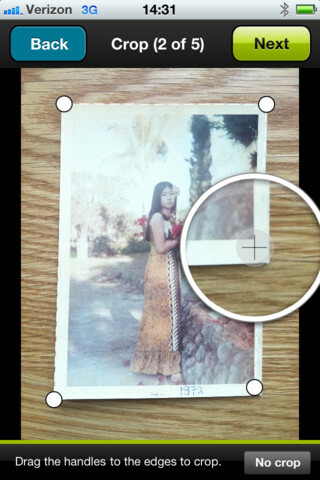 The way Shoebox works is that you take a picture of the old photo using your iPhone's camera, the app then has a cropping tool that auto-detects the edges and can flatten crooked photos. You can then tag people, give the photo a caption, a date, and a location, and save your photo. 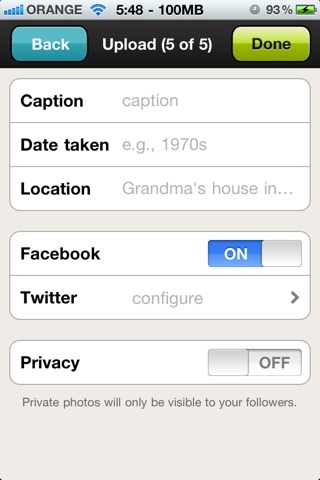 Your photos can then be shared on Facebook, Twitter, and on 1000memories.com, in addition to obviously being saved on your iPhone too. In their latest version, that just came out, there is a cool new addition: Shoebox now integrates with Facebook Timeline and lets you add photos to the past. 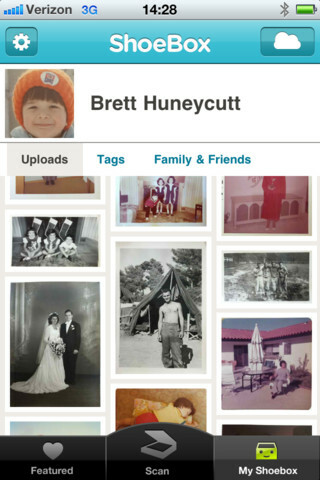 So you can now easily add all those old photos you have laying around in shoeboxes (see what I did there?) to your Facebook Timeline and fill-up your past. The app is relatively new so there still are some things I would like to see improved, but the basics work (and the app is free so you can't really complain).